BAS > News & media > BAS scientists on BBC4 ‘Secret Life of Ice’ > Scientist’s hand holding a slice of ice core from Dyer Plateaux, depth 230m, with the globe superimposed on top of it. Trapped air bubbles, an archive of past atmosphere, are visible in the ice. 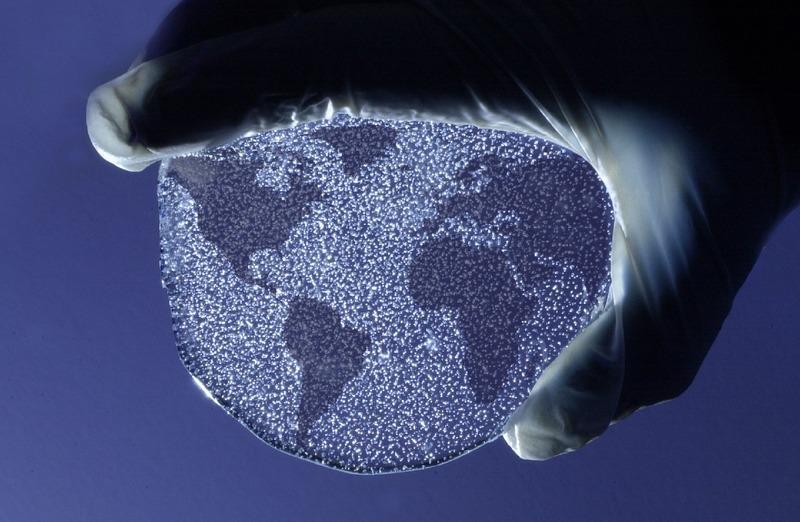 Scientist’s hand holding a slice of ice core from Dyer Plateaux, depth 230m, with the globe superimposed on top of it. Trapped air bubbles, an archive of past atmosphere, are visible in the ice.